Inspire in this long prom dress by Simply. A vibrant floral print blooms beautifully against the contrasting background of this chiffon formal dress. 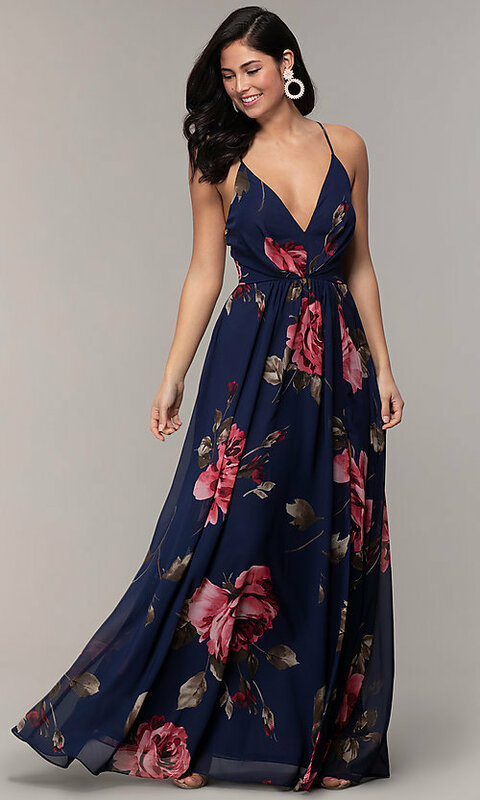 The jersey-lined long dress features a sleeveless bodice with a deep v-neckline and barely-there spaghetti straps that offer support as they cross the back. The long skirt flows breezily to a formal floor length, while a side slit complements the free-flowing style of this floral-print pretty prom dress.